The property is located on Parkes Street in Smethwick, a busy residential street with a handful of retail occupiers. The site is conveniently situated halfway between the Bearwood Road and Manor Road, making it a popular route for Birmingham City Centre commuters and local traffic. A retail premises occupying a prominent frontage, currently being used as a barber shop, but would suit many business types. Specification includes double glazing to the front, tiled flooring and electrical roller shutter doors. The premises also features a WC and kitchen facility and a sizeable storage area to the rear. The property is arranged over the ground floor with the following approximate floor areas. The quoting rent in based upon £5,280 per annum (£400 per calendar month). Further details available upon request. We understand the property qualifies for exemption under Small Business Rates Relief. Interested parties are advised to make their own enquiries to Sandwell Council. We understand that the unit has planning permission under use classes A1 (Retail). 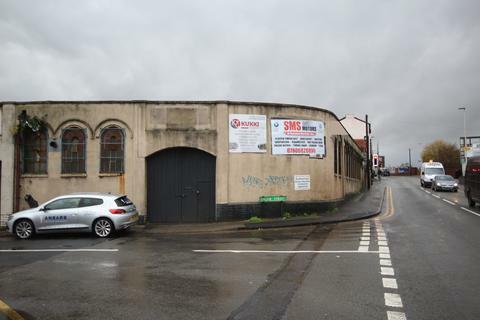 The property may be suitable for other uses subject to planning consent and prospective tenants are advised to make their own enquiries with the local planning department. Please refer any queries to Sandwell Council Planning Department. Property reference 5ukPXoW2sqQ. The information displayed about this property comprises a property advertisement. OnTheMarket.com makes no warranty as to the accuracy or completeness of the advertisement or any linked or associated information, and OnTheMarket.com has no control over the content. This property advertisement does not constitute property particulars. The information is provided and maintained by Aston Bradley - Edgbaston. Please contact the selling agent directly to obtain any information which may be available under the terms of The Energy Performance of Buildings (Certificates and Inspections) (England and Wales) Regulations 2007 or the Home Report if in relation to a residential property in Scotland.